The Bahamas National Trust (BNT) is a non-profit, non-governmental, membership organization founded in 1958 to protect some of the most beautiful and unique natural areas on earth. There are now over 32 legally designated National Parks spread over two million acres of ocean, tidal zones, and coastal land. The BNT’s mission does not end with the National Parks. The livelihood of every Bahamian is, one way or the other, dependent on tourism, an industry that is built on the natural assets of the country, so the BNT has a critical role in safeguarding the country’s economic future, as well as the sustainability of its harvest from the ocean. Imagine the Bahamas without the conch, Nassau grouper, and Spiny Lobster. The Bahamas is still a relatively young, developing country taking on the challenge of governing an archipelago the size of Michigan, but with only the population of Cleveland, Ohio (385,000), and with 30 airports and power plants to maintain, as well as even more clinics, and schools unconnected by roads. In short, the BNT’s budget is overwhelmed by the scale of its responsibilities. If the world-class natural treasures of the Bahamas are to be protected for future generations, a benefit not limited to the Bahamian population, it can only be done with the help of the international community. We support the passionate and dedicated people of the Bahamas National Trust. You can make a difference by becoming a member today. When we think of The Bahamas the first things that come to mind are the pretty blue waters, the pink sand beaches, and of course those swimming pigs. 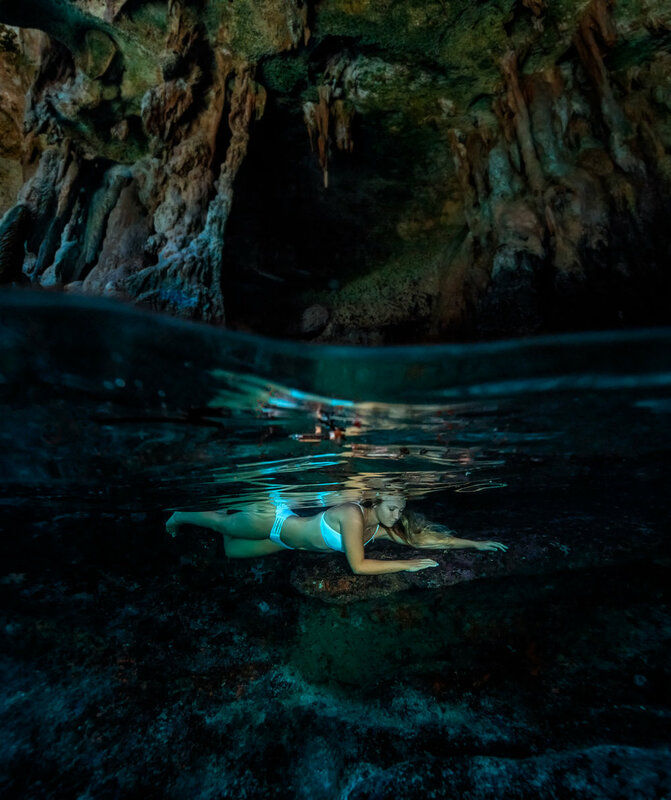 My daughter @_bahamasgirl_ and I are working with @bahamasnationaltrust to bring awareness to these unique areas that are so important to the Bahamian people, and all who treasure and wish to share this natural wealth with future generations. This summer we visited The Exuma Cays Land and Sea Park, the world’s first protected area of its kind was created in 1958 by the same legislation that established the Bahamas National Trust. 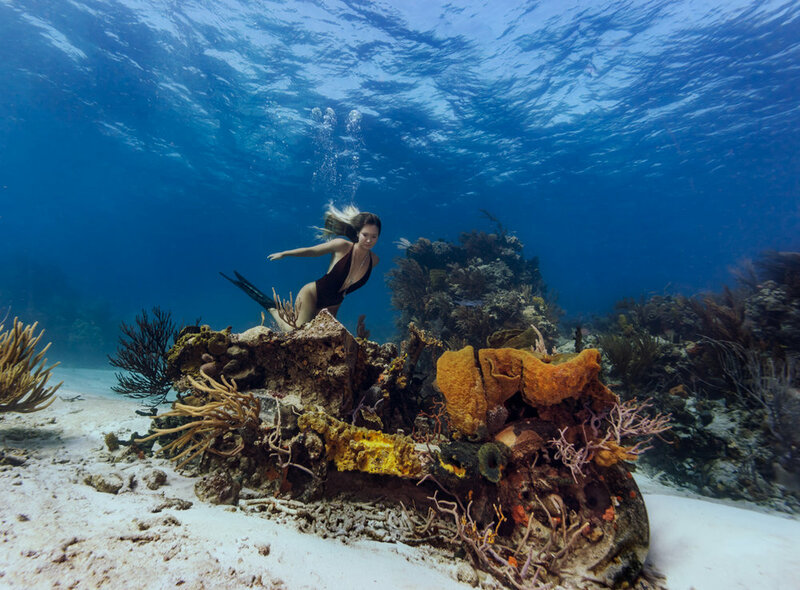 Jeep Reef, named for the coral encrusted wreck, is a rich and flourishing coral reef located in the center of the Exuma Marine Park. It is one of the healthiest reefs you will come across in part due to the strong current flowing over it. Diving is best at slack tide. The Aquarium is another nice snorkeling area with a variety of fish and a few turtles. Rocky Dundas in the Exuma Land & Sea Park is a hidden treasure. Two unobtrusive entrances, only easily accessible when the tide is low, open up into mysterious high caves. The magical atmosphere inside is enhanced by the purple, pink, and green natural colors of the algae covering the walls and the stalactites and stalagmites watching over you. The caves are thousands of years old and in pristine natural condition. Danger Reef is one of the spectacular and healthy coral reef ecosystems in The Exuma Cays Land and Sea Park. Although feeding the sharks is now banned, the Danger Reef in the Exuma Cays Land & Sea Park is home to a large congregation of Caribbean Reef Sharks. In 2011 the BNT pushed for changes in the law to protect sharks so that Danger Reef is now one of a number Shark Sanctuaries in the Bahamas that makes it a unique area to experience these magnificent creatures. One of the many airplane wrecks in the Bahamas. @exumacayslandandseapark is one of the most valuable marine reserves in The Caribbean , the park contains every marine habitat there is in The Bahamas, and the Seagrass Meadows are super nurseries for a number of commercially important species. Seagrass is a key element in the life of Queen Conch as they grow, feed and reproduce here. This particular area stumbled upon by @_bahamasgirl_ contained over 500 juvenile Queen Conch in a small area. Fortunately these Conch are protected within the park boundaries, and when they mature they will reproduce and populate other locations in the archipelago.